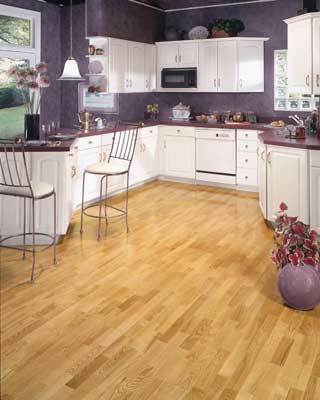 Born out of a seed of perception recognizing the need for a conscientious approach to high quality hardwood floor design and installation, Rock Solid Hardwoods has become a household term for the Denver hardwood consumer. Rock Solid is defined by artisans who love their work and truly appreciate their customers and clients. Constructed in similar fashion to their fine floors, Rock Solid has literally grown board-by-board since 1992 to become a recognized industry leader. If you are in the market for hardwood flooring, you would do yourself a disservice by not consulting Rock Solid Hardwoods. Quality, as defined by Rock Solid - Our customers refer us and our floors stay put. Quite simply - To Us, Its Art. 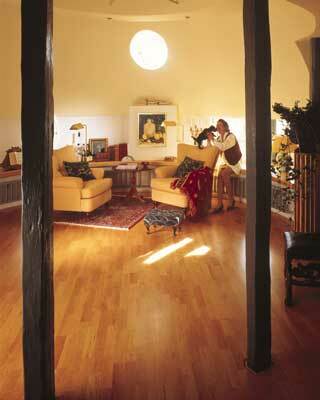 Wood flooring made its appearance in the Middle Ages, with some of those 800-year old floors still in use today. The upper levels were the most common placement, with the most expensive floors being stained colors, laid in patterns, parquets and even marquetry. Less costly floors were decorated with painted patterns and designs starting in the early 1600's, with the genesis probably being painted oilcloths which are still popular today. Colonial times brought smooth pine boards, and the 18th century saw painting to simulate stone and simple checked patterns combined with floor cloths in elaborate designs and marbelized diamond patterns being very common. These were used primarily in hallways, dining rooms and parlors. Finer cuts of wood and inlayed designs were limited to the formal and nicer rooms. The 19th century was characterized by unfinished pine that evolved to being stained and finished by mid-century. Pine soon became subflooring as parquet got popular, with prefabricated parquet patterns being sold to install on cloth yielding "wood carpet." Herringbone oak parquet patterns abounded with the emergence of custom borders featured in dining rooms, libraries, and drawing rooms. The 20th century visited lighter woods in the 20's and 30's, with strip oak the standard in the 30's, 40's and 50's. Peaking in 1956, wood flooring was overwhelmed by carpet following the FHA's acceptance for new home construction. Throughout the 60's and 70's hardwood flooring was a specialty surface utilized very selectively until the appearance, durability, health and maintenance benefits returned it to favor again in the 80's and 90's.